Can Wells Fargo’s corporate ethics sink any lower? Apparently, the answer is yes. Much lower. There just seems to be no bottom. If you think the most recent scandal involving over up to 2 million phony accounts created without the permission of their customers was over the top, wait to you read their newest shameful behavior. But first, let’s look at some of their other recent low points. Wells Fargo agrees to buy back $1.9 billion in securities after being accused by the California Attorney General of defrauding investors. The bank agreed with the U.S. Department of Justice that Wachovia Bank (Wells Fargo acquired Wachovia) failed to report suspected money laundering by drug traffickers that used the bank. The government says the laundered money was used to purchase 4 planes that would later ship 22 tons of cocaine. A New York federal judge fines the bank for overdraft practices that he said “gouged” consumers. 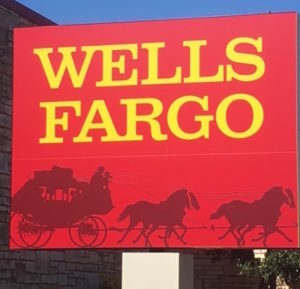 The Financial Industry Regulatory Authority (FINRA) fined Wells Fargo for not sending disclosure documents to mutual fund customers and for delays in reporting complaints involving their brokerage employees. Wells paid a $16 million fine for violating the Americans with Disabilities Act. The Justice Department said that Wells Fargo would direct deaf customers to a dedicated TTY/TDD line that went unanswered. The bank pays $125 million after being sued by a group of pension funds over the quality of mortgage backed securities. The bank was allowed to settle without admitting any wrongdoing. The bank pays $37 million to settle claims that it and other banks were rigging bidding competitions for municipal bond offerings. FINRA fines the bank another $4 million for additional securities violations. Wells Fargo was one of five large mortgage servicers that agreed to pay a total of $25 billion to settle claims of wrongful foreclosures. Wells Fargo’s share was $5.35 billion. One year later, the New York Attorney General sues after claiming the state received a “significant number of complaints regarding…flagrant violations” of the settlement. Wells Fargo agrees to pay $175 million to settle Justice Department charges of discrimination against African American and Hispanic borrowers. The bank agrees to pay $6.5 million to settle SEC charges. Less than one year after agreeing to pay $5.35 billion to settle foreclosure abuse claims as part of the National Mortgage Settlement, Wells Fargo and nine other lenders agree to pay $8.5 billion to settle additional foreclosure abuse claims. This time the Office of the Comptroller of the Currency and the Federal Reserve brought the charges. The banks paid $203 million to settle a class action lawsuit concerning excessive overdraft fees. Wells Fargo settles another class action lawsuit, this one brought on behalf of 24,000 Florida homeowners who claim they were overcharged for force placed insurance. When the banks accepted billions of dollars in bailout monies, they agreed to help struggling homeowners who found themselves underwater. Instead of helping these borrowers, the bank participated in a scheme to overcharge the most vulnerable group of homeowners for property insurance. The bank agrees to pay $42 million to settle claims brought by the National Fair Housing Alliance. The nonprofit advocacy group neglected the maintenance and marketing of foreclosed homes in black and Hispanic neighborhoods, Neglected homes attract crime and depress property values making it harder for those communities to recover. Freddie Mac gets in the act. The bank agrees to pay $839 million to repurchase homes that were financed by the bank. Freddie Mac claimed the bank violated underwriting guidelines and tricked the agency as to the quality of the loans. FINRA fines the bank’s securities arm… again. This time the fine was $4 million. A bank affiliate pays $4 million to resolve alleged violations of New York’s credit card laws. The SEC claims that Wells Fargo misled investors as lead underwriter in a failed $75 million bond offering. The agency also charged a senior banker at Wells with aiding and abetting the fraud. Another billion dollars fine, $1.2 billion to be precise. This one from HUD. The charges were brought after the government claimed that taxpayers were left holding the bag on thousands of bad mortgage loans written by the bank. The CFPB fines the bank $3.6 million for illegal student loan practices. The bank also agrees to pay restitution to students hurt by their actions. The infamous 2 million phony account scandal and $185 million in penalties. The agencies leading the charge this time are the CFPB, the Comptroller of the Currency and the City and Counties of Los Angeles. Wells Fargo agrees to pay $50 million to settle a racketeering lawsuit accusing the bank of overcharging tens of thousands of homeowners for appraisals. After dozens of scandals, millions of phony accounts and tens of thousands of homeowners who claim the bank engaged in abusive foreclosure practices, it is hard to even fathom that the bank could ever make things right. That sounds good on paper but just how deep is that commitment? One of the things promised by the bank is “increased transparency.” A report this week by Bloomberg says the bank is forcing aggrieved customers into arbitration. In other words, it won’t let customers with fake accounts or provable losses sue the bank. That’s not very transparent. With its continued bad behavior, Wells Fargo will probably remain a public punching bad for a very long time. Customers are asking, “How can this be?” It’s simple in Wells Fargo’s eyes. They say that each of these fake accounts comes with a lawsuit waiver clause. In other words, when the customers didn’t open a new account and the bank committed identity theft in opening the phony account, somehow the customer agreed to waive his or her right to sue the bank. That the bank would even try to argue that these waivers are valid is both ludicrous and horrifying at the same time. Expressed differently, the bank is trying to deny customers their legal rights based on something they never signed and didn’t even know existed. We are told that the same arbitration clauses at the center of the controversy also prevent customers for participating in a class action case. Often class actions are the only way a customer with a few hundred or thousand dollars of damages can afford a lawyer. It is simply too expensive to hire lawyers for individual claims yet Wells says that customers gave up the right to participate in a class action when the bank stole their identity and opened new accounts without their knowledge. We don’t think that even the Mad Hatter could make sense of that. We watched in horror as 5500 bank employees lost their jobs over the phony account scandal. Finally, the pressure from Congress was so intense that CEO John Stumpf became a casualty. He deserved to be sacked as ultimately the buck stops at the top. And the 5,500 rank and file bankers? At the risk of offending some of our clients, they have some blame and should bear some responsibility. They didn’t deserve to be fired if they were simply carrying out orders and told what they were doing was okay. We don’t believe for one second that over five thousand workers nationwide simply woke up one morning and decided to engage in the identical criminal behavior. The idea, the permission, the orders… whatever you call it, had to come from high up in the organization. Whether you were fired, quit to get away or are still with the bank, we believe that there is much more wrongdoing taking place at Wells Fargo. Under the False Claims Act and FIRREA law, whistleblowers with inside information about fraud or wrongdoing within the bank may be entitled to significant cash awards. Even if you participated in the wrongdoing, you are still eligible for an award. Some of the best whistleblowers have been people who did bad things but quickly acknowledged their wrongdoing and decided to help fix the problems. We all make mistakes. Those mistakes can usually be forgiven, particularly if you voluntarily come forward and help authorities make things right. The kingpin or leader of the bad conduct may be an exception under the whistleblower laws. If that is you, we still want to speak with you but understand that you may not get an award. Our banking and financial sector whistleblowers have received over $100,000,000 million in awards. On November 29th, a Houston jury returned a $92 million verdict in one of our mortgage company whistleblower cases (Allied Home Mortgage). We expect that verdict will be tripled and will result in another large award for one of our whistleblower clients. To learn about the award process, whistleblower anti-retaliation and protection provisions or how you can help stop greed and corruption, give us a call. All inquiries are protected by the attorney – client privilege and kept confidential. Even if you signed a confidentiality agreement upon leaving the bank, those agreements generally can’t prevent you from reporting illegal behavior or wrongdoing. BREAKING NEWS: This post was written on Friday night, December 9th. Already today there is a new Wells Fargo scandal in the news. The New York Times is reporting this morning that Wells Fargo bankers may have signed up customers for insurance without their knowledge and even deducted the premiums from their accounts! The bank and Prudential Insurance have a cross marketing partnership. Three whistleblowers from Prudential say that the bank was signing up customers some of whom didn’t speak English and didn’t have any idea that they had purchased insurance. Through the partnership with between the companies, bank employees received credit towards their sales quotas. Once again, we don’t think that all the scandals have been brought to light. Whistleblowers with inside information about fraud within Wells Fargo or any other bank may be entitled to a large whistleblower award. They may also be entitled to protection under the False Claims Act. Only the first to file generally gets the award. If you have information, contact us immediately so we can help you claim an award.